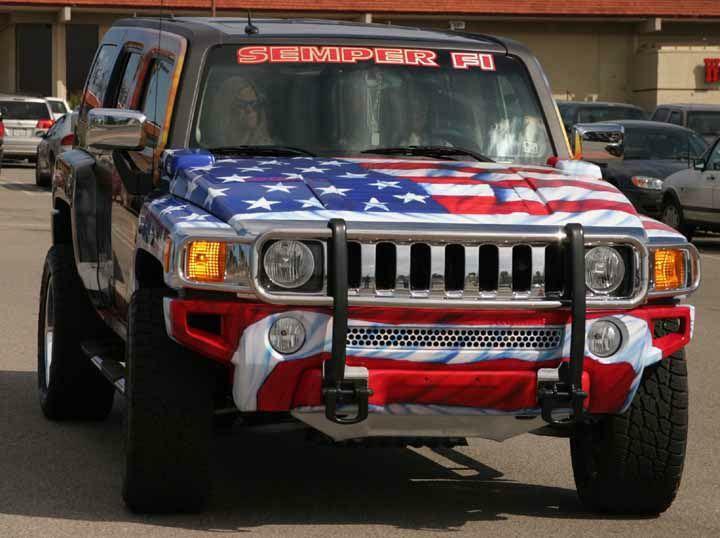 Karla Comfort received a lot of looks and even some salutes from people when she drove from Benton, Ark.., to Camp Pendleton, Calif., in her newly-painted, custom Hummer H3 March 2. 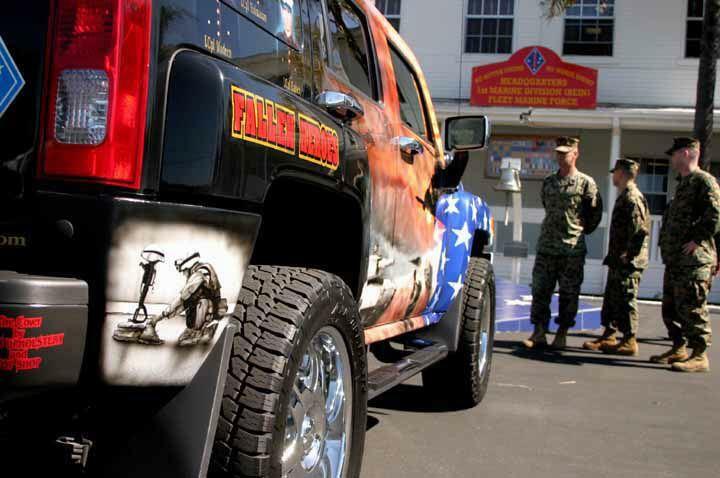 The vehicle is adorned with the likeness of her son, 20-year-old Lance Cpl. John M. Holmason, and nine other Marines with F Company, 2nd Battalion, 7th Marine Regiment, 1st Marine Division who were all killed by the same improvised explosive device blast in Fallujah, Iraq, in December. Leading up to her son’s death, Karla Comfort had received several letters from him prior to his return. He had been deployed for five months, and Comfort ‘worried everyday he was gone until she got the letters and found out the date he was coming home,’ she said. Marines knocked on the front door of her home in Farmington , Mich. , at 3 am with the dreadful news. Karla Comfort came up with the idea for the rolling memorial when she and her two other sons attended John’s funeral in Portland, Ore.
She purchased the vehicle in January and immediately took it to AirbrushGuy & Co. in Benton , Ark. , where artist Robert Powell went to work on changing the plain, black vehicle into a decorative, mobile, art piece. ‘I only had the vehicle for two days before we took it in,’ she joked. Two hundred and fifty man-hours later, Powell had completed the vehicle. 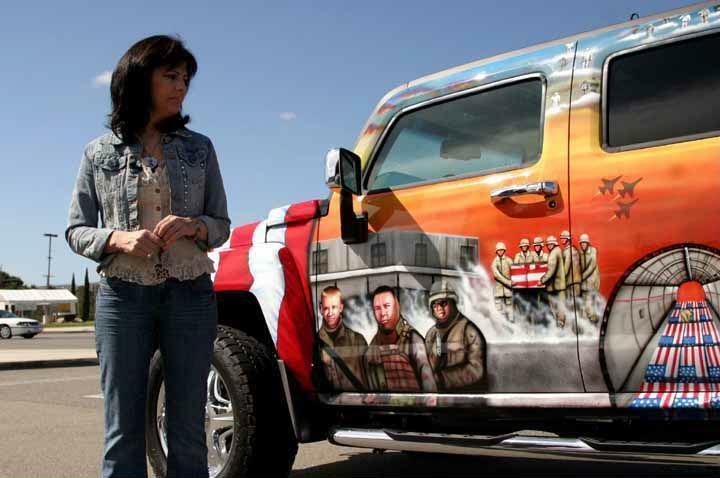 The custom job would have cost $25,000 Out of respect for Karla Comfort’s loss and the sacrifices the Marines made, AirbrushGuy & Co. did it for free. Comfort only had to purchase the paint, which cost $3,000. 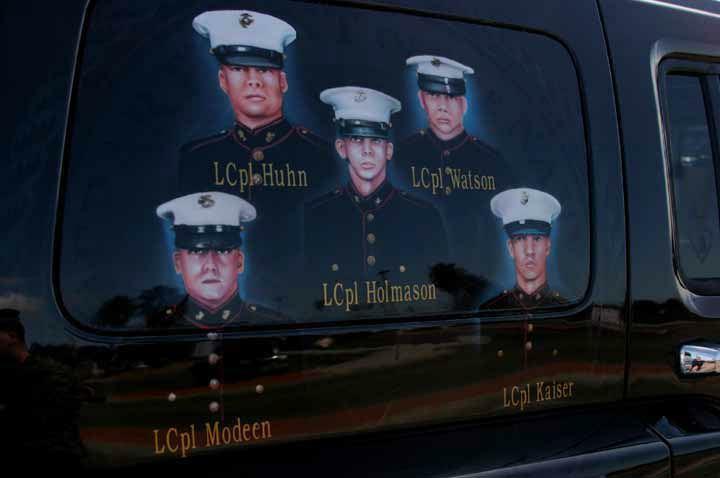 On the left side of the vehicle, a detail of Marines are depicted carrying their fallen comrades through the clouds to their final resting place. 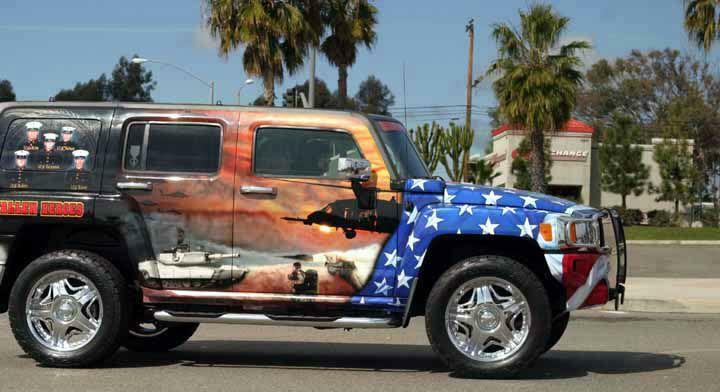 The American flag drapes across the hood, the words, ‘Semper Fi’ crown the front windshield and the spare tire cover carries the same Eagle Globe and Anchor design that her son had tattooed on his back. ‘All the support I have been getting is wonderful,’ she said. Karla Comfort decided to move back to her hometown of Portland, and making the cross-country trip from Arkansas was a way for her to share her son’s story. It’s also her way of coping with the loss. ‘Along the way I got nothing but positive feedback from people,’ she said. 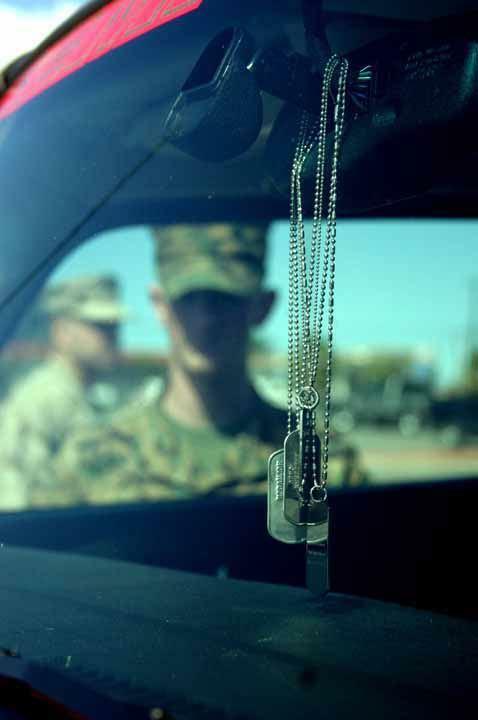 ‘What got to me was when people would salute the guys (Marines). It’s hard to look at his picture. We won’t forget ! pass it on.